a glimpse of our life: 12 Hour Flash Sale! 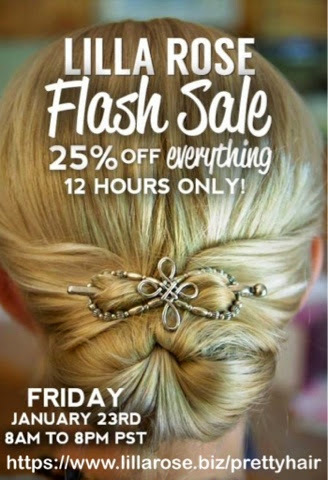 As an independent consultant with Lilla Rose, purchases made through my website http://www.lillarose.biz/prettyhair will benefit me. Look for prettyhair in the URL.